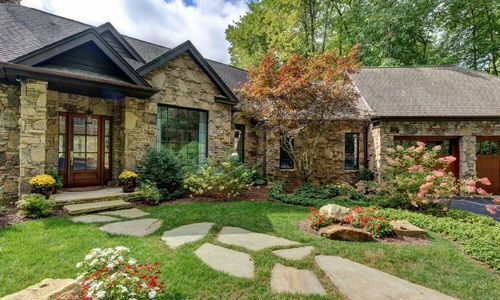 Highlands NC homes may embrace smarter features in the new year. Smart features have been becoming more and more popular each year. As technology evolves so do many features used in home construction, home systems, and home appliances. 2018 is expected to follow this trend, showcasing even more smart features in homes in Highlands NC. Smart features that are being used in homes in Highlands NC and across the nation include solar roof tiles and smart glass that is created to improve energy effacing and offer privacy. Of course technology plays a huge role in automating house systems as well. This new technology enables homeowners to operate irrigation systems for they Highlands NC properties as well as unlock doors and open the blinds! Smart home features are varied. Some smart items are related to energy efficiency and others are geared toward making life easy. Other smart features have an eye on security. Regardless of the features you choose when remodeling or building a home rest assured that smart features do add value. If you are preparing a Highlands NC home for sale make sure you highlight smart features in your marketing materials. Contact our team at Berkshire Hathaway HomeServices Meadows Mountain Realty today to learn more about Highlands NC real estate. We welcome the opportunity to update you on current market conditions while helping you get to know the top home features today’s buyers are looking for. Let our knowledge and experience serve as your guide to Highlands NC homes. Click here to read “What’s Hot: Trends in the Pipeline for 2018” from REALTOR Magazine.